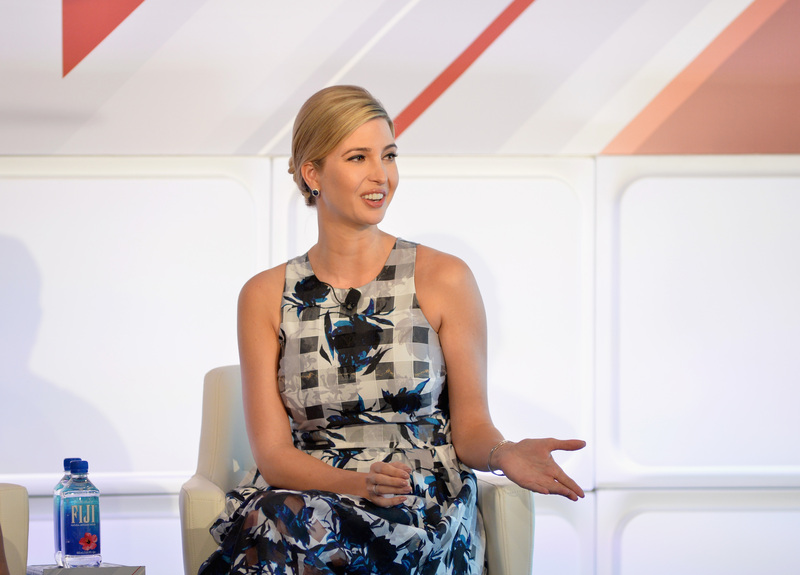 Somewhere between supporting her father's presidential campaign, running her own fashion line, and raising three children, Ivanka Trump has written a book on business and #WomenWhoWork. The hashtag comes from Ivanka's two-year-old digital initiative to make her website into a hub for professional women. But can the socialite-turned-executive write a book without her father's input? That's not intended to denigrate Ivanka or her abilities. She suffers from what Vanity Fair labels the "Trump kid problem": no matter how independently successful she and her siblings are or will be, they are their father's employees, "inextricably linked with [him and] his words." And Donald Trump has a lot of words. In a 1994 interview, he described how the executive career of Ivanka's mother, Ivana, damaged their marriage. Speaking with ABC News' Nancy Collins, Trump opined that "putting a wife to work is a very dangerous thing," and complained that his now-ex-wife's "softness disappeared" when she became an executive. For her part, Ivanka appears to have overcome — and outright denied — her father's misogyny, but Vanity Fair's Emily Jane Fox doesn't expect that she'll cite Donald Trump's hatred for women in her book. To do so would detract from her father's presidential bid, a move the Trump Organization Executive V.P. can't afford to take. However, as Fox points out, there are few things "more Trumpian" than "[u]sing a campaign for the presidency as a hybrid campaign for a spot on the best-seller list." Due out in March 2017, Ivanka's second book is titled Women Who Work: Rewriting the Rules for Success. She tells Vanity Fair that "there’s nothing more incredible than a woman who’s in charge of her own destiny — and working daily to make her dreams a reality." How Ivanka's new book will help other women make their dreams come true remains to be seen.